To add to the new information we have coming at us via Amazon today, we have three new listings which go together with information that was originally revealed to the fandom back in June, which suggests a future assortment of Titans Return Legends class toys will give us new versions of Wheelie, Ravage, and Rumble. It’s been suggested that these three will be remolds – Rumble sharing a mold with Rewind, and Ravage sharing a mold with Stripes. Wheelie is an unknown quantity – we’re not sure if he’ll get a new mold or be a creative reuse, like how the most recent Legends scale Optimus Prime got recycled into Huffer. 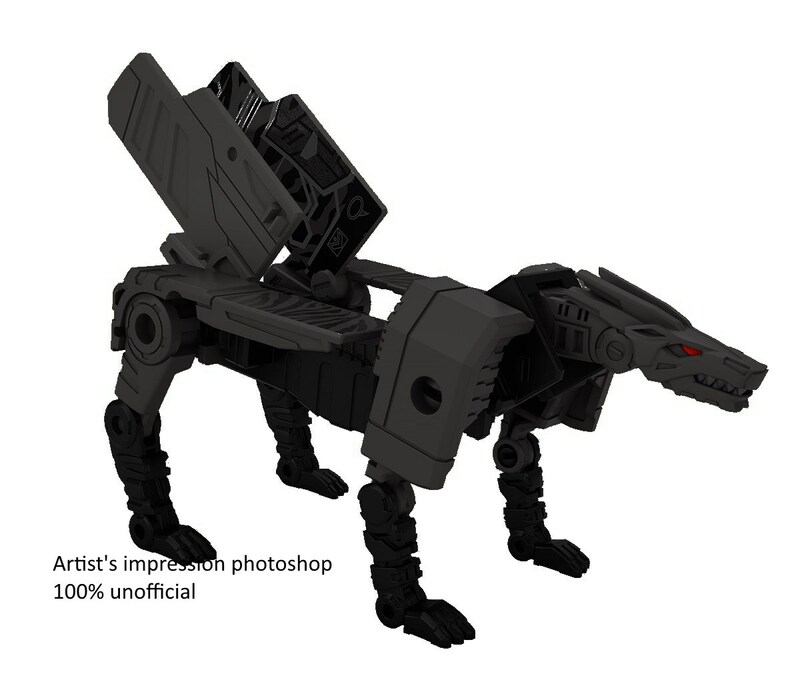 We’ve thrown together a quick photoshop, desaturating the official renders of Stripes, to show what a black version of the mold as Ravage could look like. That's the Hasbro product code number for the figure. Explains why I've never seen them on my UW combiners. Bought legends Groove and he's plastered with brandings all over. Tried removing it with rubbing alcohol… nothing. Thought it was maybe a clear sticker or paint. Tampographed? Bum. Just when we crack the product codes they change them! Newer figures have all had these lately. I'm guessing it's some sort of product ID number. Hopefully Reprolabels will put something out to fix it. Looks like CW Buzzsaw has popped up. So, is that a good thing or a bad thing? Looks like CW Buzzsaw has popped up. Going by this review, it looks like another CW in terms of design and QC. When are these hitting shelves? And Energon Six Shot too. That Shockwave is a mold I could buy numerous times… I hope Hasbro agrees.